Dive into the Rockwall Texas pizza scene! We’re looking at the various pizza places from north to south in Rockwall and the things that create a following for them. Luckily, we have a long list of places you can choose from. Pizza: It has a 1,000-plus-year history, and whether your personal favorite is simple, elevated, thin crust, deep dish, non-gluten, or any other of the various descriptors, what we can all agree on is that we love it. Today, we check out the pizza places of Rockwall, Texas. We’re looking at the various restaurants from north to south in the area and the things that create a following for them. Lucky for us, we have a laundry list to choose from and as you see from the map, you’re never much more than a stone’s throw away from one of Rockwall’s pizza places. Mogio’s Gourmet Pizza bears a striking resemblance to Palio’s Pizza (with good reason, if you know the history). The All Meat Marvel pizza is highly touted, this is Texas, after all. 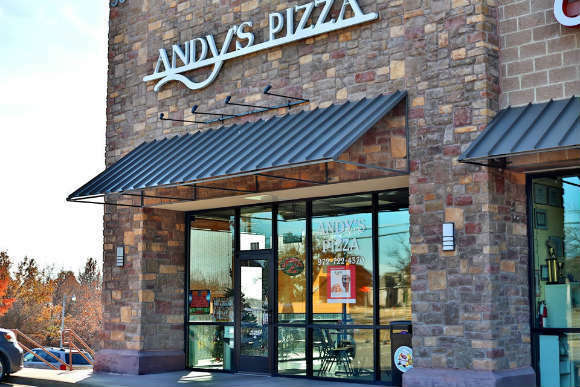 Andy’s Pizza is relatively new on the Rockwall scene (opened in 2014) but has had several other locations such as West End in Dallas and Greenville, Texas. It’s located just outside the original entrance to The Shores, off SH 205. Zanata Restaurant is located in the historic Downtown Rockwall Square, next to the newly renovated San Jacinto Plaza. 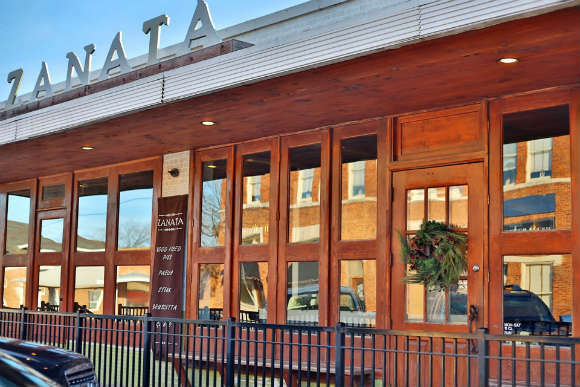 A major catalyst in the revitalization of the Square when it opened in 2007, Zanata for many is like their own version of Cheers. Check out the conversation we had with Kevin Lefere, one of the owners. Napoli Italian Restaurant is located just south of City Hall. It features a robust menu and does delivery as well. 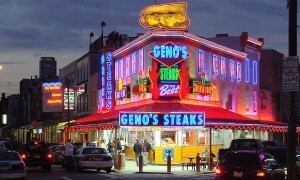 Luigi’s Italian Cafe has been here since the ’90s and originally was located where Joe Willy’s is now. It moved to its new location and has not looked back. 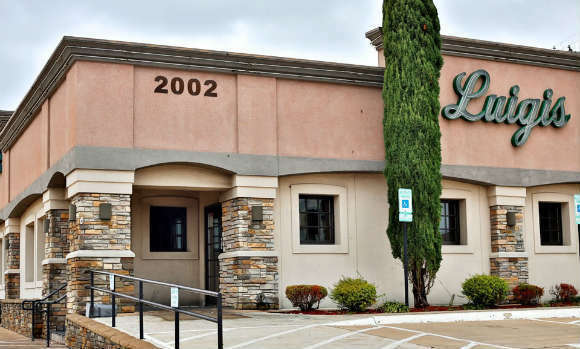 For many in Rockwall, this is one of their favorite Italian restaurants in town. Mellow Mushroom is also new on the scene and has made quite the splash. From its colorful decor both inside and out to its fun and hip(pyish) food and craft beer menu, it’s truly a free-wheelin’ experience … maaaannn. 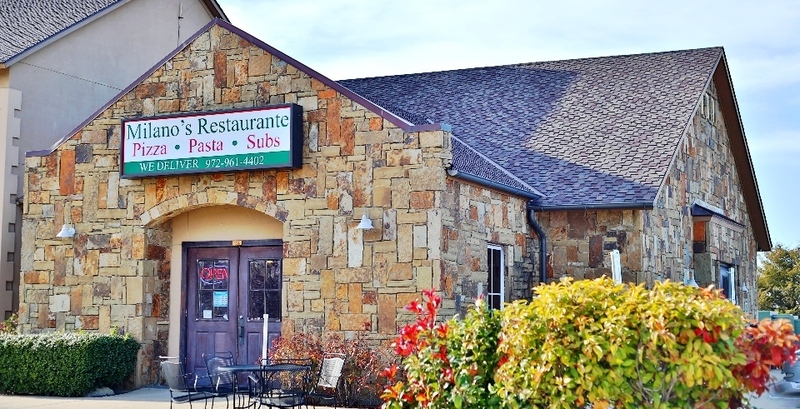 Samee’s Pizza Getti is one of Rockwall’s oldest Italian restaurants. Popular for its family friendly atmosphere in on the restaurant side, it also features a separate bar where the locals frequent. Samee Dowlatshahi is always there making sure everyone has a great time! Campisi’s is one of Dallas’ favorite pizza restaurants, and Rockwall has enjoyed having it in the Harbor District. The Campisi family emigrated from Sicily in 1904 and brought the food they love to the DFW Metroplex in 1946. 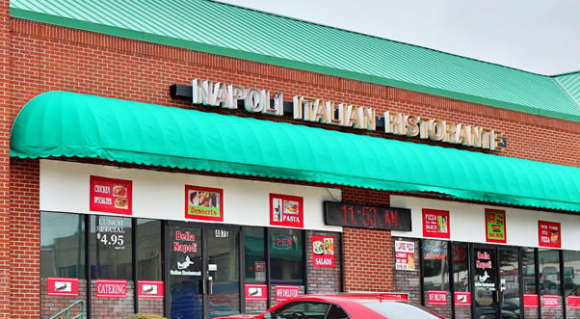 As they point out on their website, Campisi’s awards include Best Pizza, Best Italian, and recognition from Bon Appétit magazine as one of the best pizzerias in America. 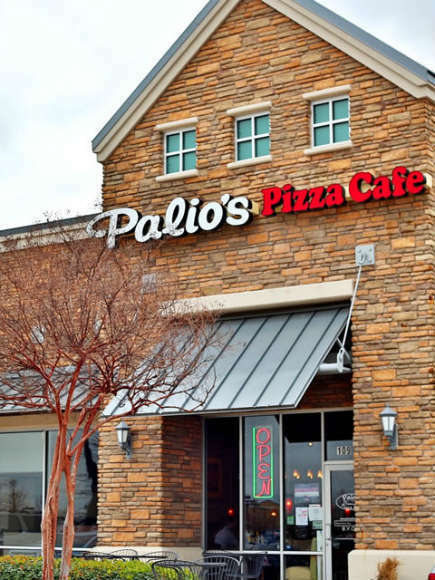 Palio’s Pizza Cafe is on the south side of town in the Kroger-anchored shopping center and is great for dine-in or takeaway. Make sure to try their Hawaiian Sunrise or The King pizza! Check out this video we did on location at Palio’s. Milano’s Restaurante is the southernmost restaurant on our list. Located in the heart of Heath, catty-corner from City Hall, lots of Heath residents enjoy their food and convenient delivery service. So the next time you get a hankering for some pizza in Rockwall or Heath, Texas, know that great pizza places abound! Evan Matteson leads The Matteson Group, a highly successful team in Rockwall Texas with Coldwell Banker Apex, Realtors®. He attributes their success to a dynamic marriage of cutting-edge technology and relationship focus. Properties they have marketed have been featured on Forbes, Coldwell Banker, Yahoo Real Estate, The Wall Street Journal, NBC, LX TV Open House and the Travel Channel.When not spending time with his wife, Virginia, and their three children, Evan enjoys sailing, being outside, brewing beer, listening to music, cooking and hosting dinner parties. 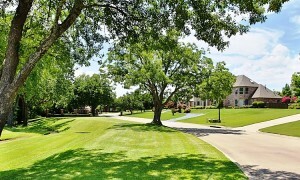 Rockwall Rental Homes: What Can You Get for Under $1,800?